Thrillster has emerged as a potential Golden Rose contender with her victory in a stakes race at Moonee Valley. The victory was a welcome change of luck for father-and-son training partners Leon and Troy Corstens with Thrillster’s victory in Saturday’s Atlantic Jewel Stakes. “We’ve had a bit of a bad run over the last six months,” Troy Corstens said. Ridden by Noel Callow, Thrillster ($7.50) scored by a long neck over Humma Humma ($8) with Krone ($41) a nose away third. Corstens said the stable hadn’t planned anything further than Saturday’s race but said the filly was among nominations for the Golden Rose at Rosehill on September 22. 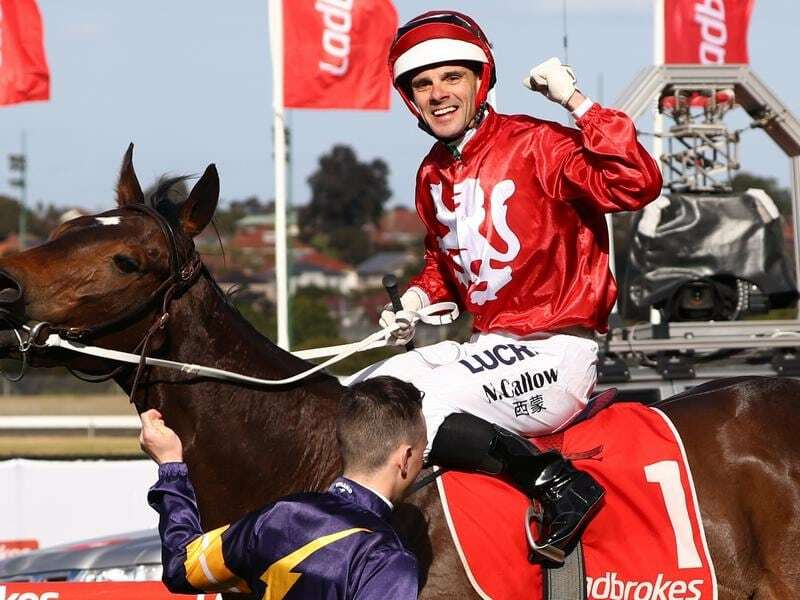 “The Thousand Guineas (at Caulfield) is the target,” Corstens said. “We haven’t planned anything going forward but she’s still in the Golden Rose, so maybe we’ll have a look at that. Thrillster’s win completed a two-state stakes race double for sire Starstangledbanner following the win of Home Of The Brave for James Cummings in the Theo Marks Stakes at Rosehill. Corstens and bloodstock agent Justin Bahen purchased Home Of The Brave as a yearling for 80,000 euros ($A130,000) with the gelding doing his early racing in the UK for Australian owners under the guidance of Hugo Palmer. “We were thinking of bringing him out here to race, but Hugo did a deal with Godolphin,” Corstens said.